BetterTrades is Bringing Wall Street... to Main Street! You can learn how it’s possible to buy and sell stocks regardless of your age, education, background or occupation. We know … we’ve taught thousands of people from all walks of life how do to it. What about you? Do you need to learn how to create an additional income stream … to pay bills … to afford health insurance … to own a nicer car … to help your children or grandchildren pay their school tuition … to generously give to your favorite charity or church? Congratulations! You’ve found the right place. We are here to help you learn how to make your financial dreams come true. We’ll teach you the foundational information you need to take the first steps toward achieving your personal financial goals. Stocks are the cornerstone of the financial market and you must understand how they work. Our team of experienced instructors will teach you! Too many people have been taught by well-meaning friends to see options as the Bogeyman! We will teach you how it is possible to use options to take advantage of the volatility in the markets. You’ll learn how to make money whether the market goes up OR down! If you’re like many people, you aren’t able to watch the market when it’s open because you have a job. The futures market is available almost 24 hours a day. We can teach you how to buy and sell on the futures market when it is most convenient for your schedule. Learn more! 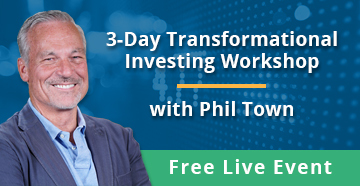 Access to some of the most exciting world-class stock market education! The class was fabulous and I would recommend it to any trader who's serious about making money consistently. I left my last workshop with a full heart and of course, a full head! I was so excited and turned on to what I had been taught. I was pleasantly surprised, because I wasn't sure exactly how it would be presented. I would recommend it to my friends and colleagues.